EV Energy Taskforce progress update for the wider stakeholder community. 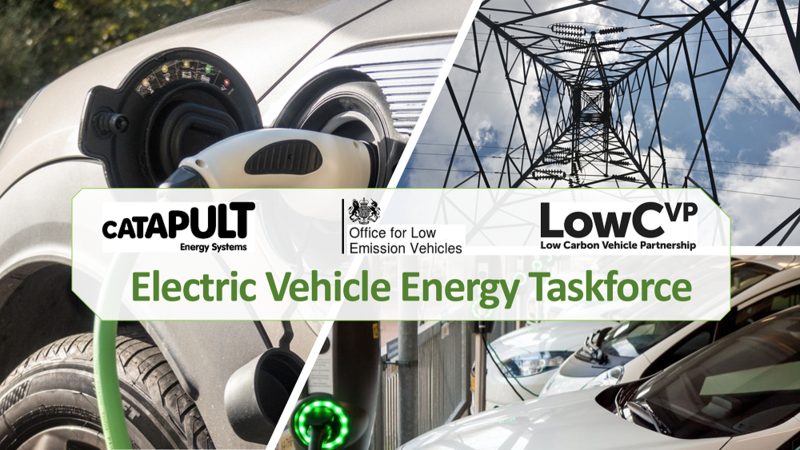 We have now reached the room capacity for the second EV Energy Taskforce Stakeholder Seminar being held on Monday 11th February 2019, at Maple House, 150 Corporation Street, Birmingham, B4 6TB from 12pm-5pm. Please add your name to the waiting list and we will release tickets to you should any become available nearer the date, on a first come first served basis. The main focus of the seminar is to allow the Work Packages the oppertunity to present the emerging themes from their work to the widerstakeholder community and elicit some critical feedback. The agenda below provides the maximum time to present finding so far and invite delegate feedback. 12:45 Welcome the EV Energy Taskforce - Context from OLEV & Ofgem. 13:15 Work Package One: A common strategic understanding of the requirements of the energy system to support mass EV uptake. 14:00 Work Package Two: Engaging EV users in smart charging and energy services. 15:15 Work Package Three Smart charging technical requirements. 16:00 Work Package Four Accessible data for decision making.